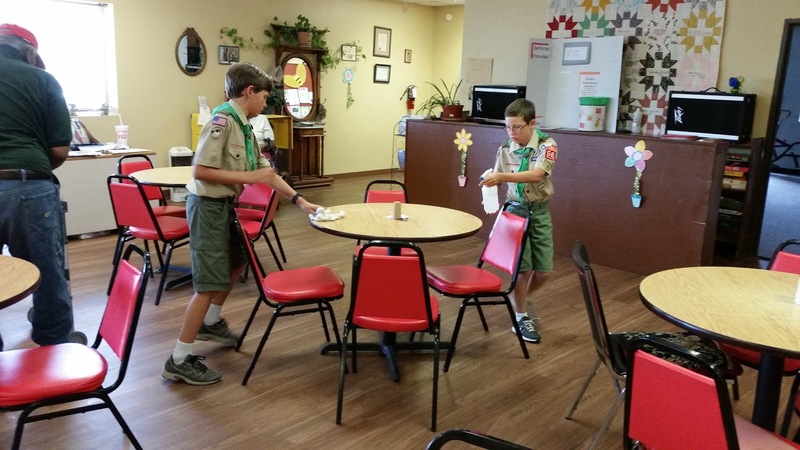 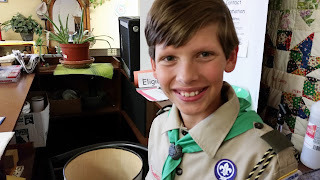 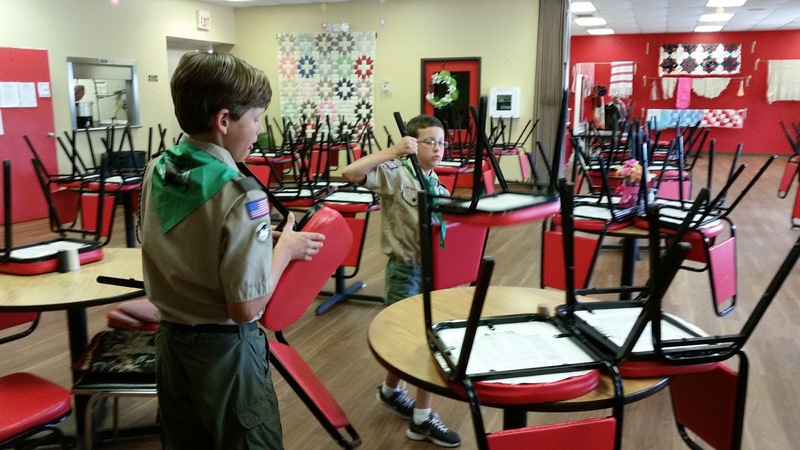 As part of their Citizenship in the Community Merit Badge, Dawson and Seth had to pick a community organization and volunteer there for 8 hours. 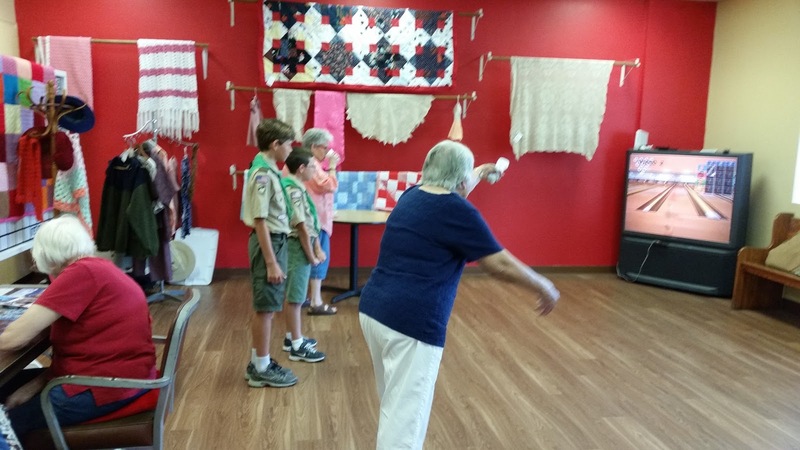 They chose the Walker County Senior Center. They visited the Senior Center on 3 different days, each time they helped with Bingo, played Wii bowling with some of the ladies there (this is apparently something the ladies really enjoy doing and one of them was a master at it and beat the boys almost every time), helped with lunch, and then cleaned up after lunch. 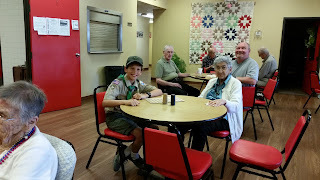 They had a good time and I think the people there enjoyed visiting with them as well. 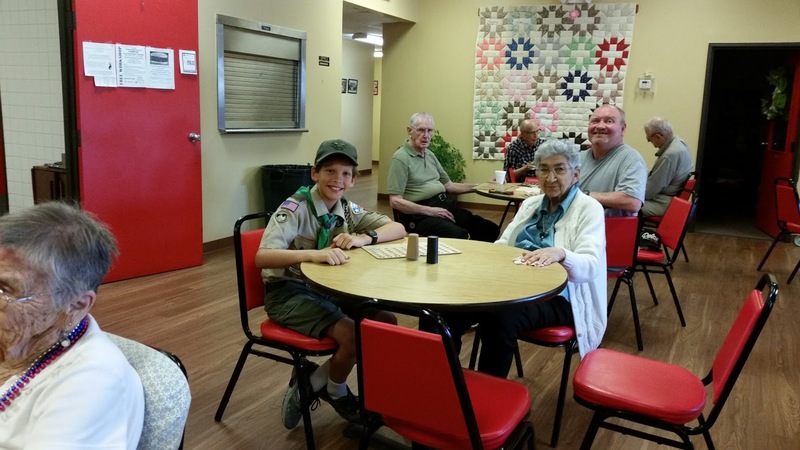 They'll definitely keep the Senior Center in mind for future service projects. 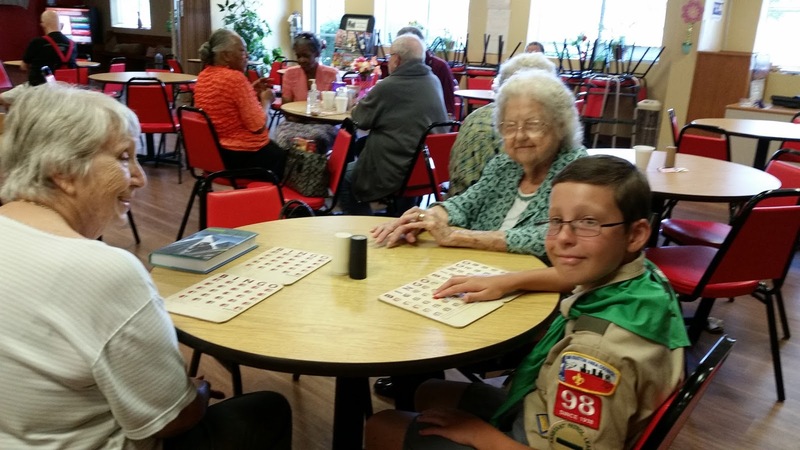 Seth helping one of the ladies who can't see very well with her bingo cards. Dawson doing the same with another sweet lady. 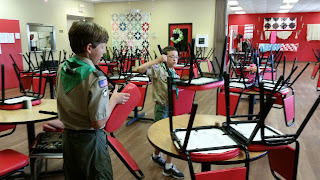 Their final chore was stacking the chairs. They were awesome helpers!